October 22, 2018 6:54 am. 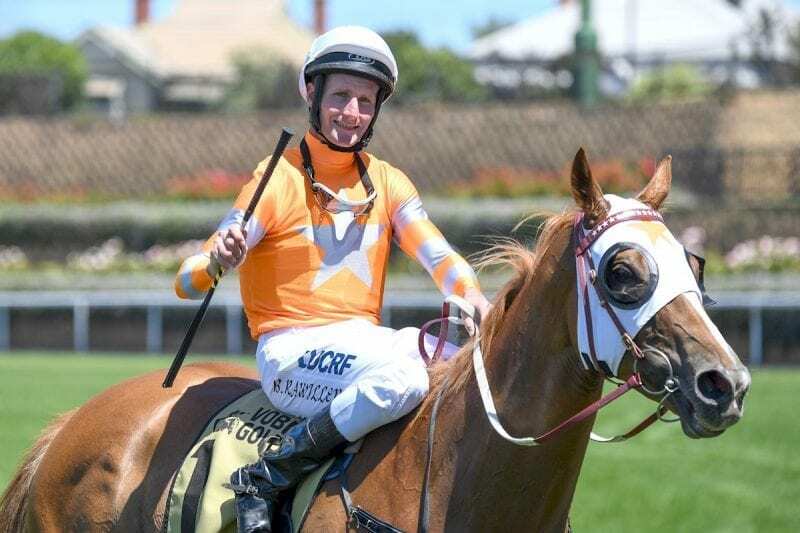 Brad Rawiller is in a stable condition following a fall at Cranbourne. Picture: Reg Ryan/Racing Photos. Jockeys Brian Higgins and Brad Rawiller are both in a stable condition in Melbourne’s Alfred Hospital after a race fall at Cranbourne. Rawiller has fractured his C4 and C5 vertebrae and collarbone while Higgins has fractured ribs and a collapsed lung. The two will undergo further tests after coming down in the fourth race on Sunday. The remainder of the meeting was called off after the incident. Both horses are reported to have escaped injury.